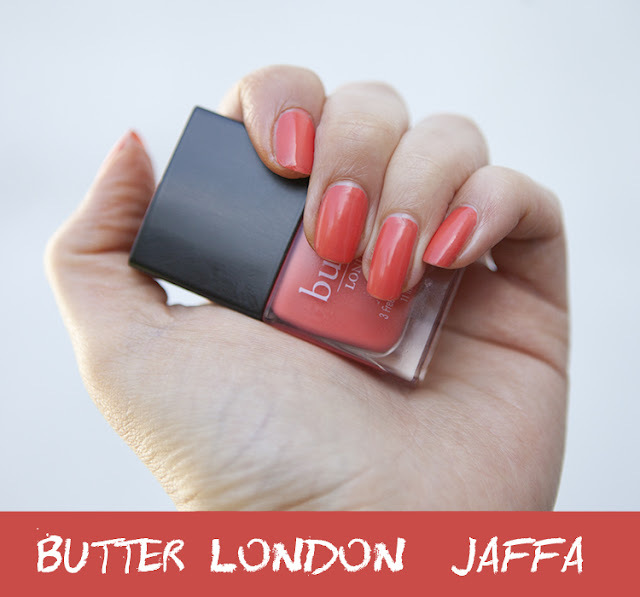 Jaffa by Butter London is exactly as you would expect it to be from the name. Proper orangey-orange. It has a completely different feel to it wearing it in the sunshine to the cold weather. Right now the sun is shining and it looks a gorgeous neon (neon, not luminous) orange, a creamy jelly like texture to it, perfect for summer days.